Teach your toddler, kid or baby new words with beautiful illustrations. This app is easy to use and is a fun way to teach your kids, toddlers or babies new words. Explore a fun world of colourful characters. There are up to 200 lovely flashcards to help them learn everyday things. 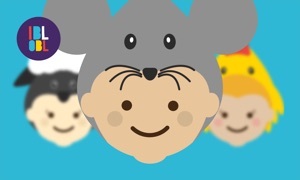 The perfect app for parents and children to learn and play together. But the app is so easy to use that kids can even play it without any help. - You’ll get a beautiful set of illustrations. Farm animals, professions, clothing, food, insects, park, rooms, screens, sea animals, space, vehicles, wild animals. - Easy to use, go through words with a simple tap. - No distractions / No buttons, no ads, only images. - A great way to learn words much faster, with fun illustrations. - Entertain your kids anywhere you want, at any time! - This app makes education fun and interactive. Baby first words makes use of adorable illustrated flashcards. This will make learning fun for kids, toddlers and babies.